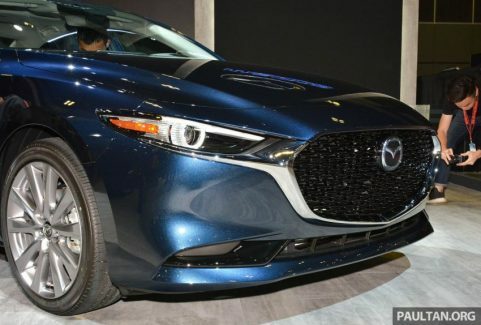 After having made its global debut at Los Angeles Auto Show in November 2018, the all-new Mazda 3 has now made its way to Singapore for the 2019 Singapore Motor Show. 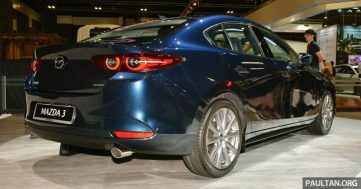 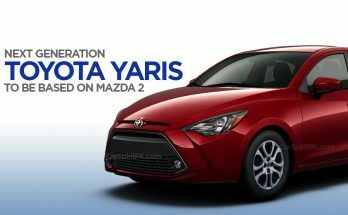 The fourth-generation Mazda 3 is being displayed in sedan body type and is a left-hand drive unit for preview purpose. 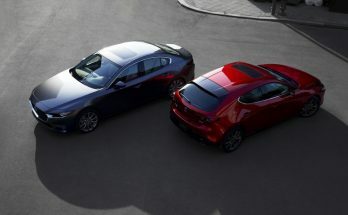 The new Mazda 3 remains heavily inspired from the Kai Concept that was displayed at Tokyo Motor Show last year. 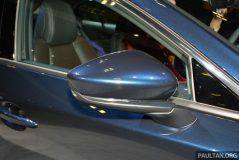 Up front, long bonnet flows into a more aggressively-shaped front grille. 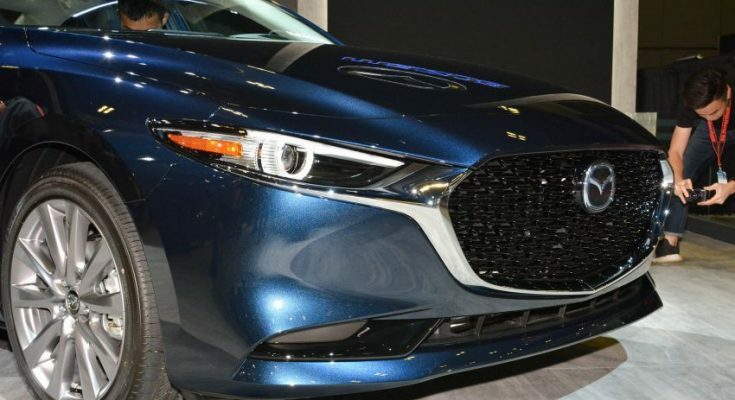 The grille is flanked by a pair of slim headlamps that are linked by the familiar “wing” trim piece that is finished in chrome. 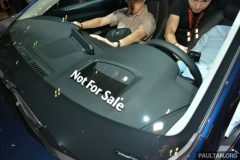 Further down the bumper, there is a narrow air intake, small fog lamp enclosures, a ‘lip’ and protrusions in the corners. 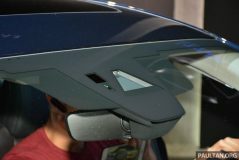 Towards the back, the influence of Kai Concept is found on the taillights, featuring finer details within the two circular elements of each cluster. The boot has a slight lip, with the Mazda logo enclosed in the middle. 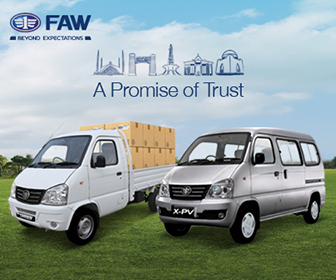 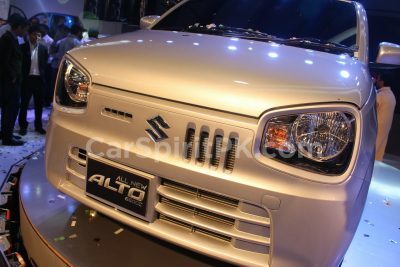 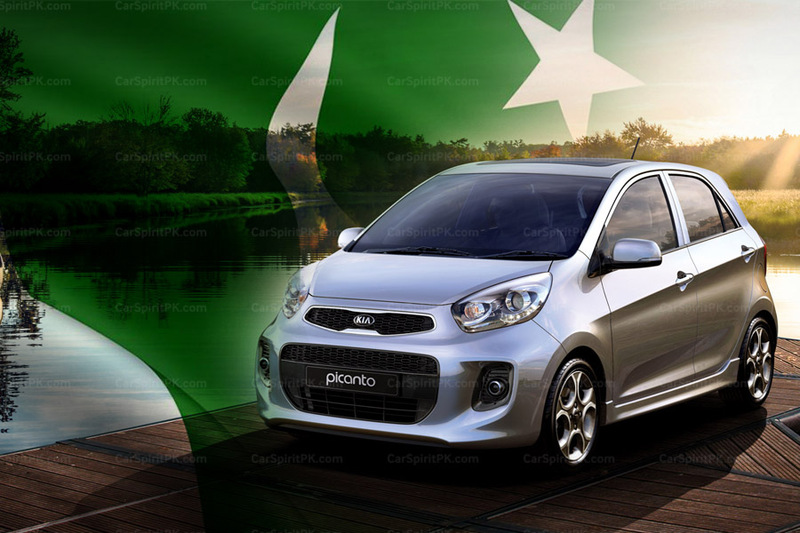 There is a dual tone bumper with rear fog lamps and twin exhaust pipes. 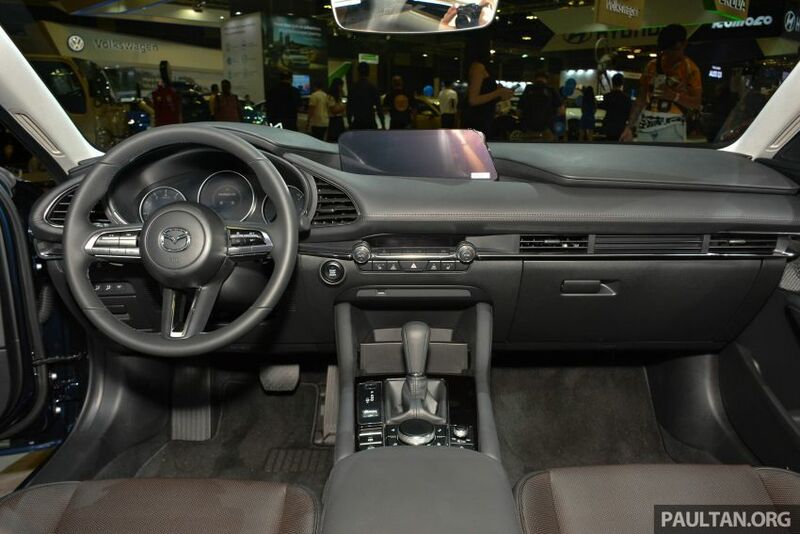 Inside, the two-tier interior gets an 8.8-inch infotainment screen at the top, powered by the latest MZD Connect system. 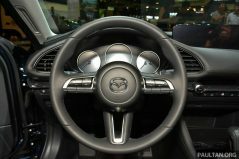 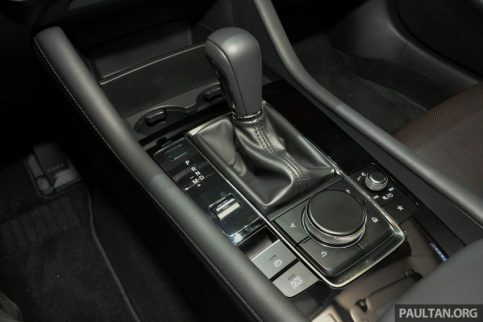 There is a new steering wheel design while the instrument cluster has been simplified to just three individual circles. 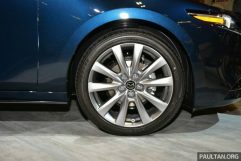 In terms of dimensions, the Mazda 3 sedan measures 4,662 mm long, 1,797 mm wide and 1,445 mm tall, with a longer wheelbase of 2,725 mm. 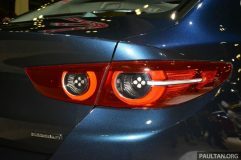 Compared to the outgoing third gen model it is 82mm longer, 2 mm wider and 5mm taller while having a wheelbase that’s 25mm longer. 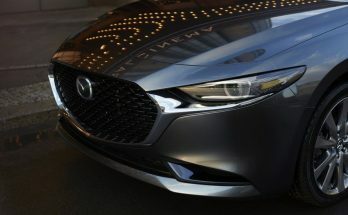 Mazda has recently revealed that it will take a different approach in how the cars are going to be designed by not following the so-called trend of “Russian doll” styling, where vehicles look like differently sized versions of one another. 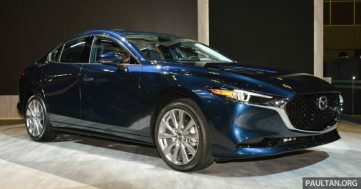 Mazda has also announced to remain committed to internal combustion engines despite the ongoing electrification process in the auto industry. 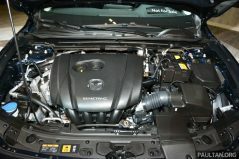 The automaker believes gasoline, diesel, and rotary engines are still a cleaner solution in terms of CO2 emissions and these powertrain options will remain Mazda’s key focus in the coming years.